The following photo was posted in the Citizens for secular democracy, Pakistan Facebook group. 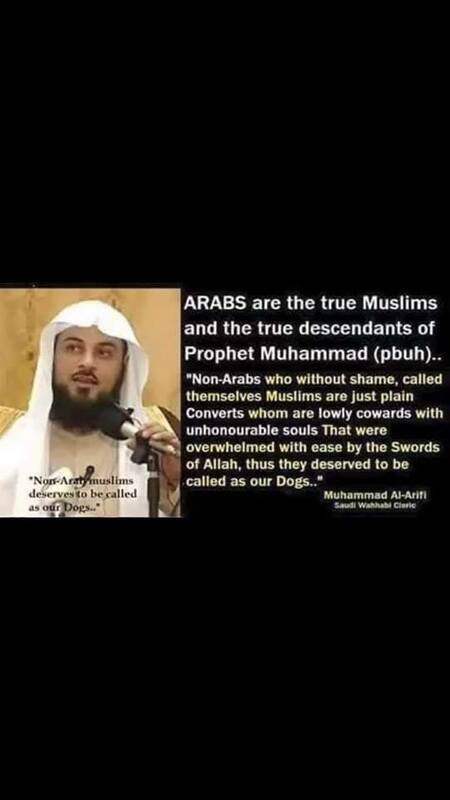 ARABS are the true Muslims and the true descendants of Prophet Muhammad (pbuh)..
"Non—Arabs who without shame, called themselves Muslims are just plain Converts whom are lowly cowards with unhonourable souls That were overwhelmed with ease by the Swords of Allah, thus they deserved to be called as our Dogs." The authenticity of the quote is disputed in this Reddit/Islam post. I came across this image on twitter. Who is this man ? Is there any relevance in what he is saying ? Thanks in advance. I genuinely doubt he said this. Browse other questions tagged quotes islam .